The Masterclass ANV-50 is a new amplifier released to celebrate Sugden Audio’s fiftieth anniversary. 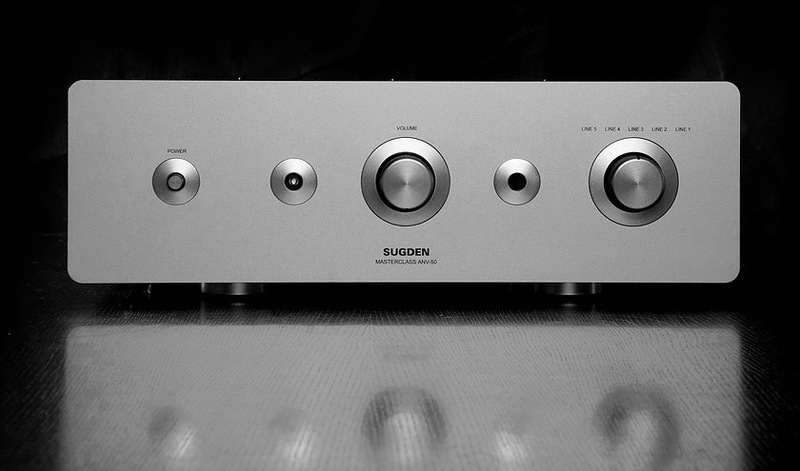 In 1967 Sugden released the world’s first solid state pure class ‘A’ amplifier, the A21. The ANV-50 promises to revisit this golden age of British audio engineering, with a design focused on the demands and preferences of today’s audio enthusiast and music lover. The ANV-50 has at its heart, the purest class ‘A’ amplifier Sugden Audio has ever produced and this is coupled to an advanced ‘ideal’ final output stage. This unique two stage amplification system guarantees Sugden’s signature pure class ‘A’ sound, with the ability to drive most loudspeaker systems. The sophisticated final output stage features a comparator and correction circuit so that errors which could occur in the power output section due to varying loads and distortion, are corrected to match the output of the high impedance input amplifier. Whilst maintaining the signal authenticity, it also increases the load stability and forces the output impedance to zero. This special output stage with Sugden Error Correction has extremely low open loop output impedance with a resultant high damping factor at quite high frequencies. It also benefits from overall Current-Feedback. The power amplifier and pre-amplifier are fully DC coupled so there are no capacitors in the signal path to interfere with or deteriorate the sound quality. One of the key features of Sugden Class ‘A’ amplifiers is the power supply, because they have a high standing current and power reserves, the output is always ready to act instantly to any signal. This is unlike a conventional Class AB amplifier that waits to receive power through a transformer and a bridge rectifier. The ANV-50 takes this one step further by using a 1 MHz switching power supply which acts instantly to deliver the power as the Pure Class ‘A’ amplifier section is always on. The power supplies are high current, fast and incredibly stable. With a MTBF (Mean Time Before Failure) of 100 years they are designed for longevity and reliability. As the ANV-50 is an integrated amplifier it has an internal pre-amplifier, developed specifically for this amplifier. The circuit is a line drive design and uses the minimum number of components, all of which are high quality. This provides a very open and natural sound and demonstrates that when carefully engineered, less can more. ​When the ANV-50 does not receive an input signal it has a very low power consumption of only 20 watts, making it extremely efficient. As the heatsinks are mounted internally with minimum contact to the outer case it only runs slightly warm to the touch. Outputs – One pre-out (variable), one tape out and one pair of stereo multi-way binding posts. Volume Control – Remote control (RC5 handset included). Line Input Sensitivity – 110mV @ zero attenuation for full output. Power Output – 50 Watts into 8 Ohms both channels working, 100 Watts into 4 Ohms both channels working. Frequency Response – 12Hz-45kHz +/-1dB. Gross Weight (packed) – 11kgs. Dimensions – 143 x 430 x 370mm (HWD).